Madonna ft. Nicki Minaj, M.I.A and Dustin Q., Flo Rida ft. Dustin Q. (Lavi Beats RMX), Pitbull ft. Chris Brown, Flo Rida, Rihanna and more. Hey, it&apos;s DJ Skinny from South Florida and I hope you enjoy my mix. I would love to hear some feedback. I am constantly trying to improve, and there&apos;s no better stage than the public to give me insight into what aspects I need to work on. This mix was intended to be fun to listen AND dance to, if I missed my mark, please let me know! 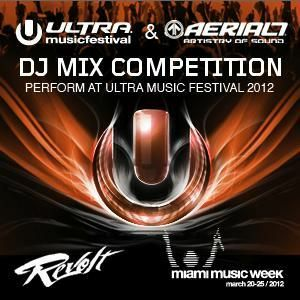 I would love to get on top of the Ultra Music Festival stage and "be your entertainment!" Just a thought, make your buildups a little longer. A lot of the transitions felt a little abrupt.